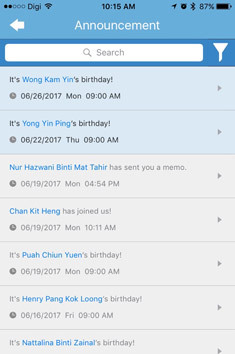 Keeps you updated anywhere, anytime. 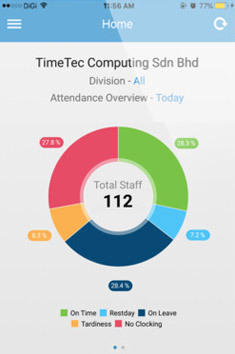 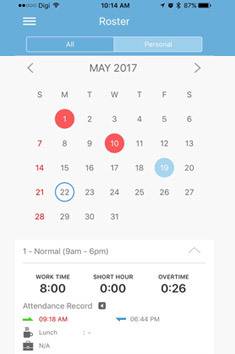 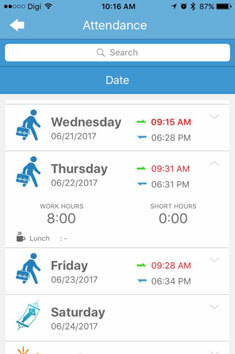 TimeTec TA app provides an overall view of your attendance, work rosters, and attendance clocking option, using mobile phone - so you'll never miss a thing. 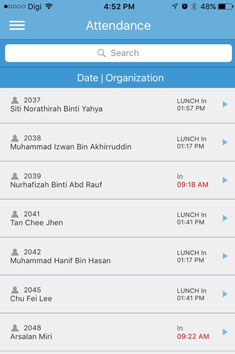 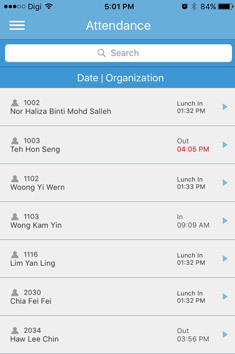 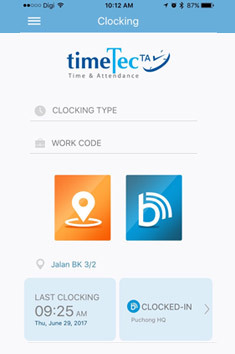 TimeTec TA app is the mobile app for TimeTec TA, a cloud based time and attendance management application. 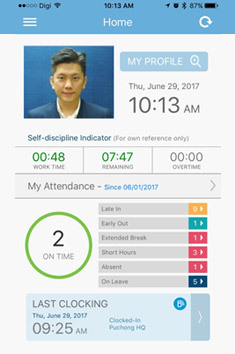 Get the 30-day FREE trial TimeTec TA today!